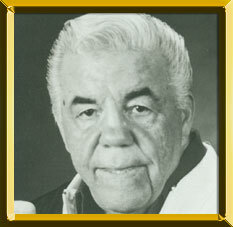 THE PATRIARCH of Main Events, Lou Duva has done it all in a boxing career that has spanned over 50 years. He has been boxer, trainer, manager and promoter. But he is most famous for his work in the corner of 15 world champions. Duva has been associated with such fistic stars as Evander Holyfield, Johnny Bumphus, Rocky Lockridge, Bobby Czyz, Livingston Bramble, Vinny Pazienza, Mark Breland, John-John Molina, Meldrick Taylor, Darrin Van Horn, Michael Moorer, Eddie Hopson and Hall of Famers Joey Giardello, Mike McCallum and Pernell “Sweet Pea” Whitaker. Duva is tenacious in the corner and a master motivator. He never stops fighting for his fighters. And he goes to great lengths to be with them. On February 4, 1989, Duva was in Breland's corner in Las Vegas when he regained the WBA welterweight title by knocking out Seung-Soon Lee. The next afternoon he was in Atlantic City, working Van Horn's corner as he upset IBF junior middleweight champion Robert Hines. Two world titles on two coasts in less than 24 hours. It is a feat that is likely unparalleled for a trainer. While Duva's first champion was Giardello, he emerged to the forefront of the boxing world by signing five members of the 1984 U.S. Olympic team -- Taylor, Whitaker, Breland, Holyfield and Tyrell Biggs. Together with his late son Dan Duva (promoter) he formed the promotional company Main Events. Shelly Finkel (manager) and George Benton (co-trainer) were added to the team and very quickly Main Events rivaled Don King and Bob Arum. No longer were there just two promotional giants in boxing. Duva received the Manager of the Year Award (1984) and Long Meritorious Service Award (1993) from the Boxing Writers Association of America. The WBA named him "Trainer of the Year" in 1987 and 1994.